Our little family of four has been traveling the great state of Utah, discovering all of the fun things it has to offer. Last month we covered Park City, this month we covered Salt Lake, and this fall we&apos;ll be covering our National Parks, as well as the St. George and Utah County area. If you&apos;re looking for a getaway for the summer of 2015, I highly recommend looking into what Utah has to offer. 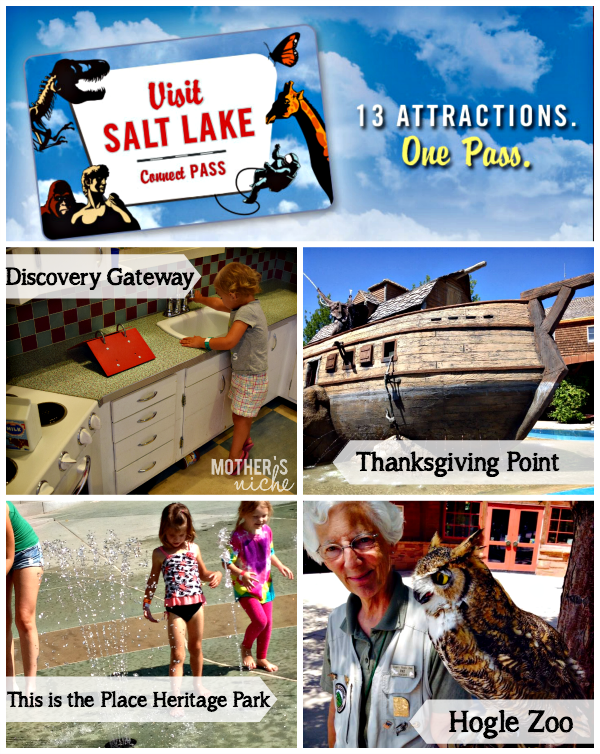 We looked at several options for our Salt Lake trip, and getting a Visit Salt Lake Connect Pass seemed like the best option for our family for getting the most out of our three days (and having the most fun)! I&apos;m starting with the Discovery Gateway because this was our daughter&apos;s FAVORITE place. We had only allotted an hour and half for this, but our daughters could have easily spent the entire afternoon here (we came back the next week). This place is incredible. There is so much hands-on fun for the kids that even I was having a hard time restraining my inner child. Our favorite was the big town area that had the house, and the kitchen area, and the marketplace to go shopping (grocery carts and all), as well as the farm where they could ride the (fake) horse or pull vegetables. This Is the Place Heritage Park is another place that I didn&apos;t allot enough time for. I had read there were pony rides, train rides, and a splash pad, so I figured 1-2 hours would be perfect. We were so sad when the park closed and there was still so much more to do! They have all kinds of different activities and crafts and other fun things going on that I had no idea about. I would plan on spending at least 3 hours there. We plan to go back. Thanksgiving Point is always a good time. The Pass includes admission to the gardens, but we also chose to go to the Children&apos;s Museum of Natural Curiosity. Similar to the Gateway Discovery, there was TONS to do (over 400 interactive experiences)! Everything was hands-on and there were different rooms with different themes (waterworks, rainforest, etc.) We enjoyed the Gateway Discovery better as far as ease of watching kids, but both places are very unique and fun. 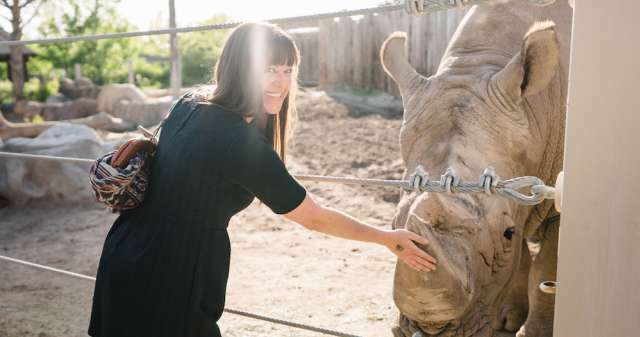 Unlike the other places, this was not our first time at Hogle Zoo. And I don&apos;t know why, but I always make the same mistake and go during the hottest time of the day! The zoo doesn&apos;t have a ton of shade (they do have a few misting fans), so if you visit the zoo in the summer, try to go in the morning or afternoon when it isn&apos;t as hot. Or use the hottest time of the day to see the indoor exhibits (like the reptiles). The Leonardo "Animals Inside Out" exhibit was cool, but you might want to learn from our experience. If you&apos;ve ever been to the "BODIES" exhibit, it&apos;s very similar in that you get to see the skeletal and muscle structures of different animals and all their "insides." Our kids were young enough that they weren&apos;t bothered at all by the fact that the animals were *dead*... my toddler even pointed to a couple of them and said "CUTE!" My advice for this museum (if you have young kids) is to bring a stroller. This is NOT a hands-on experience like some of the other places :) I almost had a heart attack when my toddler kept trying to touch the exhibits! We ended up very pleased with our Visit Salt Lake Connect Pass. Our only regret was running out of time to get to the Planetarium and the Tracy Aviary. Luckily, we chose the 365-day passes, so we can go back in the spring!